Mobile continues to sit at the forefront of marketing strategies, and location has increasingly become the core building block for successfully reaching niche audiences. But in the location data landscape, “X” doesn’t always mark the spot. Here at Factual, we have standards in place to help in the battle for data quality and reaching real people. 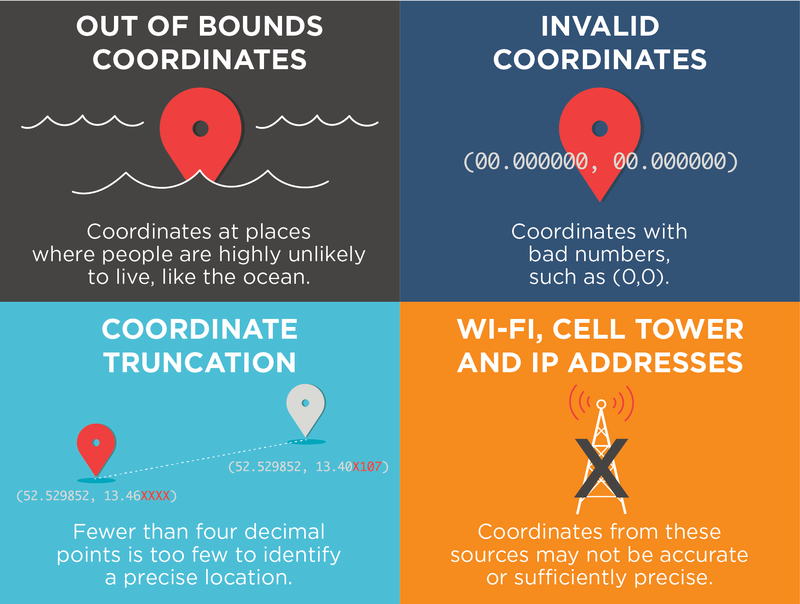 All Latitude/longitude coordinates are not created equal and those basic sets of numbers are a crucial foundation to building quality location-based targeting. Factual’s Location Validation Stack eliminates fraudulent data by identifying and removing invalid or inaccurate lat/longs before a bid call ever occurs. How do we keep bad data from reappearing after it’s been identified? When Factual establishes evidence of bad coordinates, devices, and apps, they are aggregated into block lists. These block lists are then used to automatically filter out every appearance of that bad data within Factual’s Location Validation Stack. The last step in fighting location fraud involves confirming a user is in the real world. Once quality lat/longs are established, they are not automatically funneled into audience segments. On average, Factual sees approximately 2,000 high quality lat/long inputs per unique device ID every month. To ensure that the endpoint is in fact a real person, Factual sets a threshold of inputs per each device ID attached to a lat/long before it is considered usable for targeting. These inputs must fall within a 6 month period, or the count will start fresh for ensured accuracy. By the numbers, Factual eliminates 60-70% of the 2.3 trillion incoming lat/long signals due to location inaccuracy. With millions of businesses opening, closing and evolving and audiences that are increasingly mobile in nature, the composition of the real world is continuously shifting. 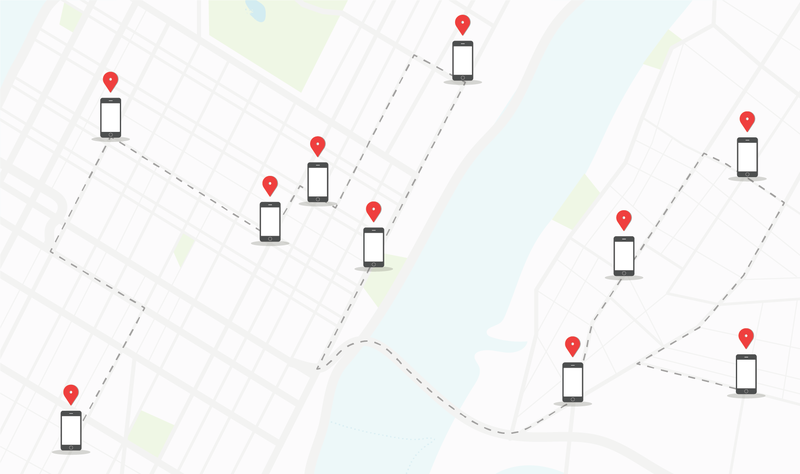 It’s more important than ever to examine and reexamine every data point, because building quality location targeting starts from the ground up, literally. Interested in learning more? Visit our Location Validation Stack page.